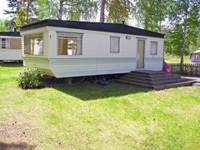 This a comfortable four berth caravan, offering room to a maximum of six. 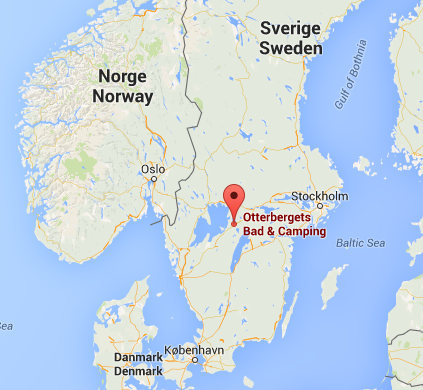 It has two separate bedrooms, one of them with a bunk bed and the other with a double bed. The sofa in the living room can be converted into a bed. 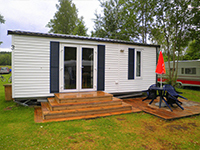 This caravan offers facilities for up to six. It has one separate bedroom. In the living room there are two seating areas, both can be converted into double settee beds. 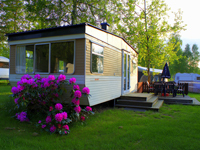 The camping has two similar caravans suited for four persons each. 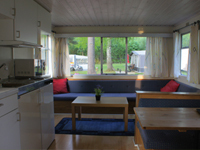 The caravans have one bedroom with a double bed and in the kitchen living room there is a double settee bed.